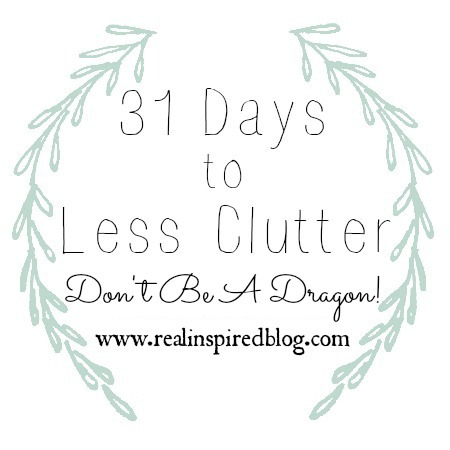 Well, it's been over a month since I started this declutter thing. It has felt so good letting things go! That little stamp I get on my Goodwill card every time I drop something off makes me happy too! What Goodwill card you ask? Maybe everyone knows this already but I'm kind of excited about it! When you donate to Goodwill, you can get a 20% off coupon card. Bring it back every time you donate, get it stamped, and after four stamps you can use it on your next Goodwill purchase. Pretty great, right? You know what else is great? This view right here. This used to be my room of shame. It wasn't functional at all. I have had great big plans for this room for some time but all that junk was getting in the way. Literally. It's way more peaceful and I can find things. It's nowhere near done but I definitely have some ideas. I can't wait to get started! I feel like this month of purging was just the beginning for me. Some things I set aside knowing that I would have to come back to them. I just wasn't ready yet. I didn't get all my surfaces accessory-less either but some of them I did. 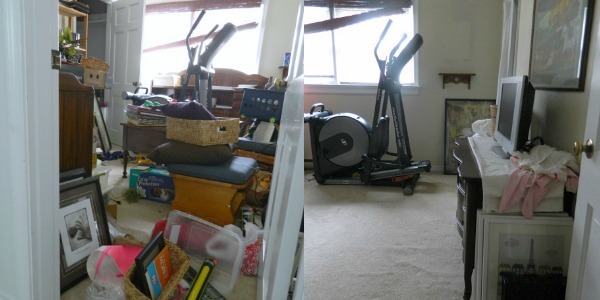 I was able to see some things in the living room that I hadn't been able to because of all the clutter. I have never looked at my house and thought, "Gee, we need more space." I grew up in a big family and we always lived in small houses. In the last house, we were fitting 8 people into an old, 3 bedroom house with one bathroom. I will shake my head at you if you try to tell me that your family of 4 can't fit into a 4 bedroom, 2 bath, house. Try getting 8 people ready for church in one bathroom. More when your cousins come to visit. I know what it is like to live in a small space. Storage can always be more efficient, but I know that when storage becomes an issue for me, it's probably a good idea to evaluate what I'm trying to store. Our culture is a culture of stuff and because we have so many things, we think we need more space to store these things around us. I don't think there is anything wrong with having a big house and nice things if you can afford it. I'd love a private Scottish island with a castle myself. I'm just saying that sometimes the space is already there if I'm willing to hold things with an open hand. We can't hold onto good feelings and memories by keeping all the things. By piling it around ourselves until we resemble gold-hoarding dragons, simultaneously obsessed and enslaved by our growing piles of stuff. I feel like I'm playing both sides. On one hand I'm saying get rid of stuff and on the other I'm saying keep what you love! There is a balance here because while simplifying our lives is good, it is also good to surround yourself and your family with the things that are special to you. I don't want a hoard of meaningless things that I don't really love. I am determined that our home will be a haven, a reflection of who we are, and that it will tell our story. I don't want to be a dragon either, even if they are kinda cool. 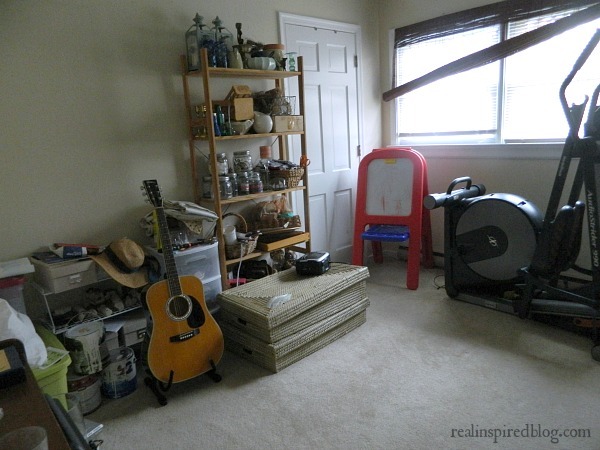 What are your thoughts on home and clutter? I want to hear what you think!